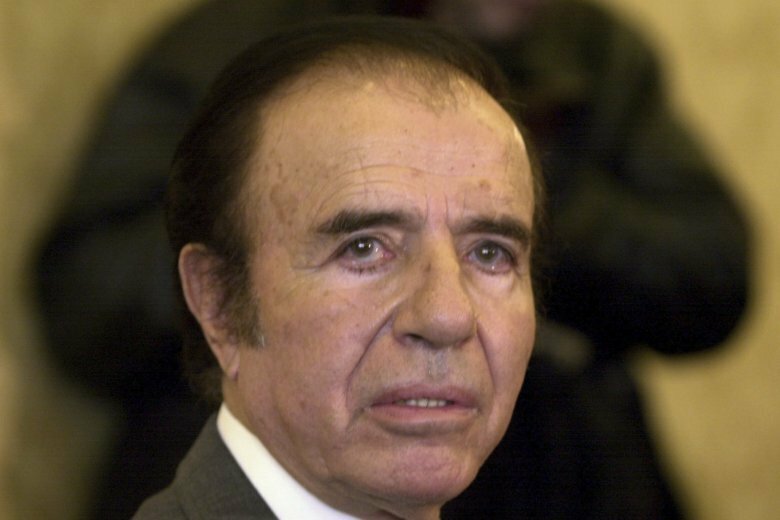 BUENOS AIRES, Argentina (AP) — Argentina’s highest criminal court acquitted former President Carlos Menem on Thursday of smuggling arms shipments to Ecuador and Croatia in the 1990s when both countries were involved in armed conflicts, overturning a 2013 conviction. Menem, now 88, had been sentenced by a lower court to seven years in prison for “aggravated smuggling” as the co-author of shipments of more than 6,000 tons of military weapons, which he authorized to go to Venezuela and Panama but ended up in Ecuador and Croatia. At the time, Argentina was barred from supplying Ecuador with weapons since it had a peacekeeping role after Ecuador and Peru fought a brief war in 1995. Croatia was under a U.N. arms embargo as war ravaged the former Yugoslavia. Menem has denied the charges, saying he thought the arms were headed to Panama and Venezuela. As a senator in his home province of La Rioja, he has immunity from arrest. He appealed the 2013 conviction to the Supreme Court, which passed it to the Federal Chamber of Criminal Cassation. On Thursday, the criminal court annulled the judgment because it considered that the “reasonable time” principle to finalize the sentence had not been met. The smuggling of mortars, land mines, grenades, rockets and missiles took place between 1991 and 1995. “Everything passes …. and this has passed. I love you, old man,” Menem’s daughter Zulemita wrote.